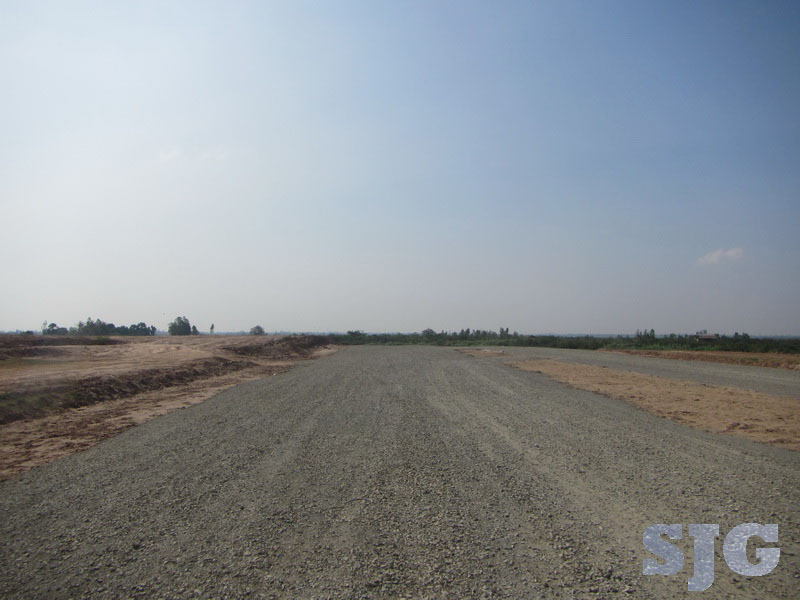 There is a practical way for cutting across Boeng Tumpoan to Ta Khmao now with at least 1/4 of the Hun Sen highway unofficially finished. 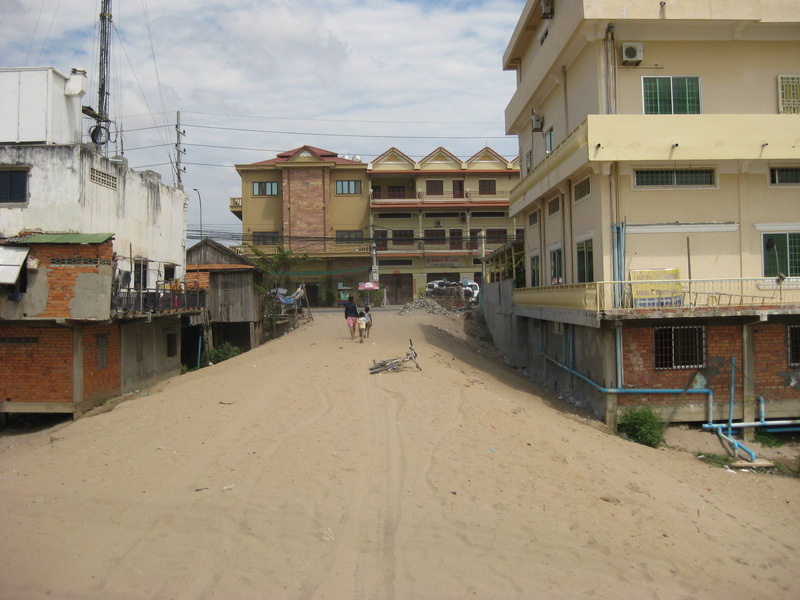 Looking south down the Hun Sen Blvd. 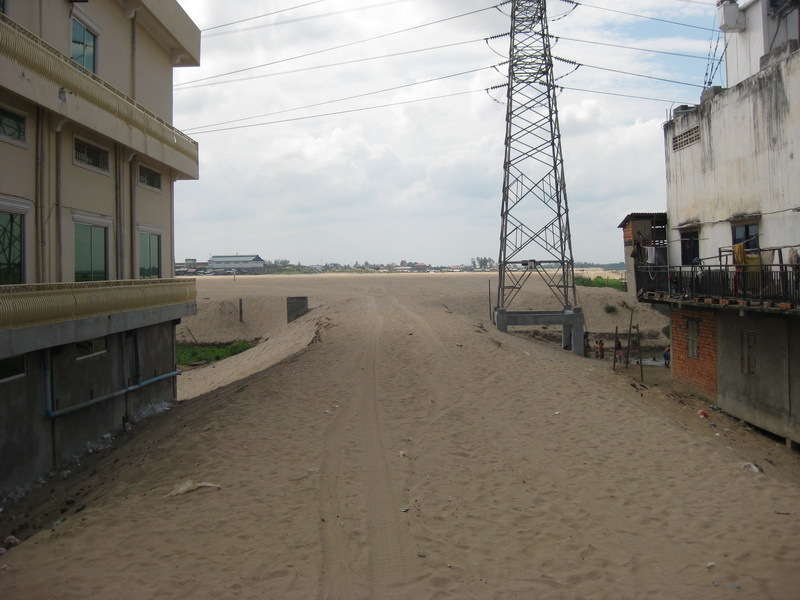 Looking north along the Hun Sen Blvd. 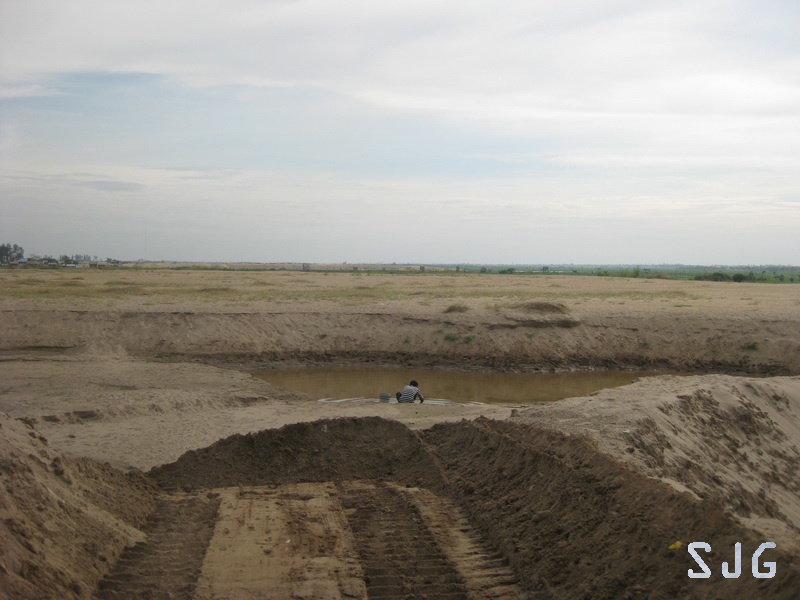 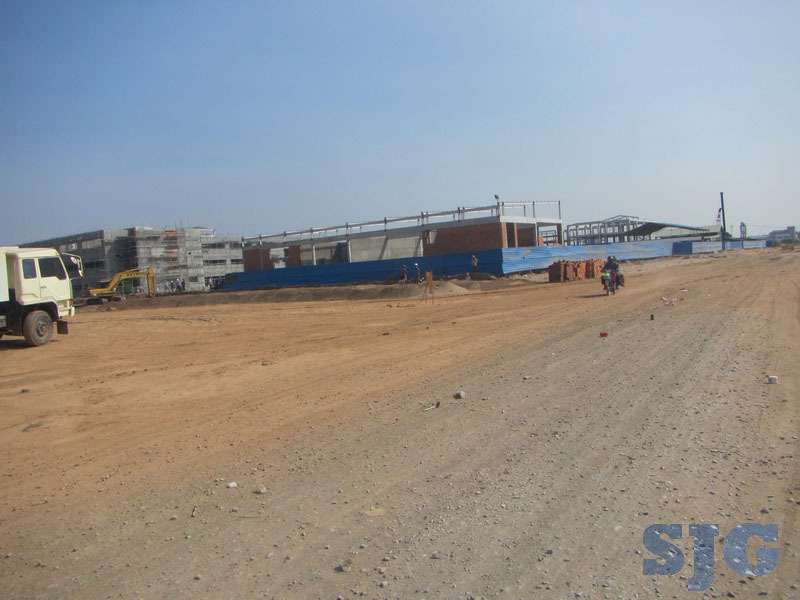 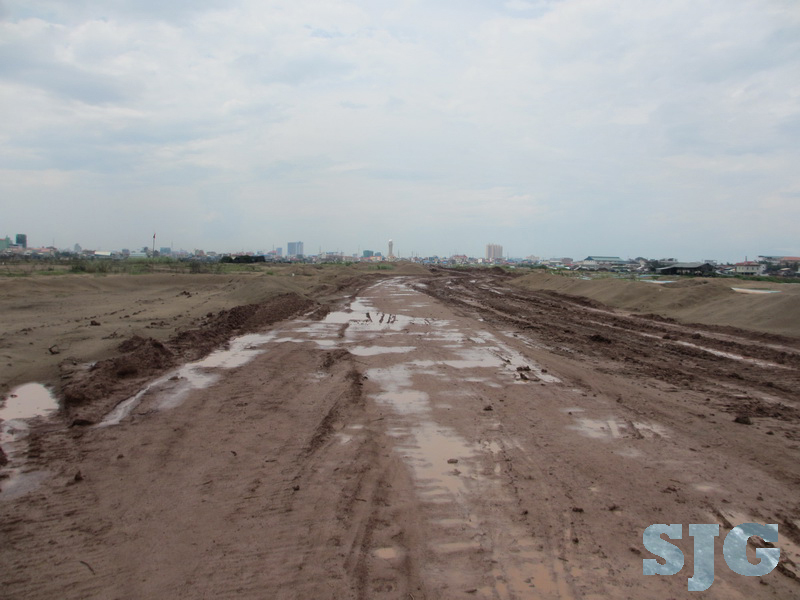 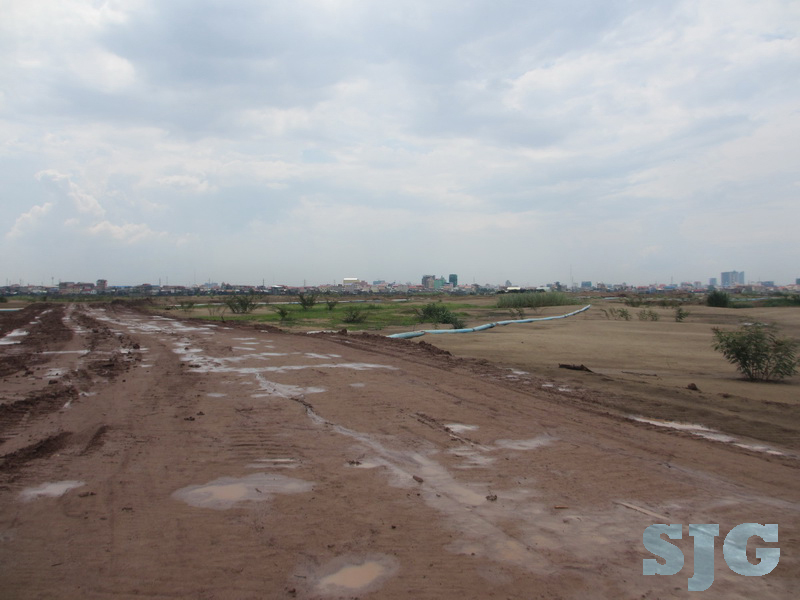 Although it’s not easy to see, the Hun Sen highway is taking shape. 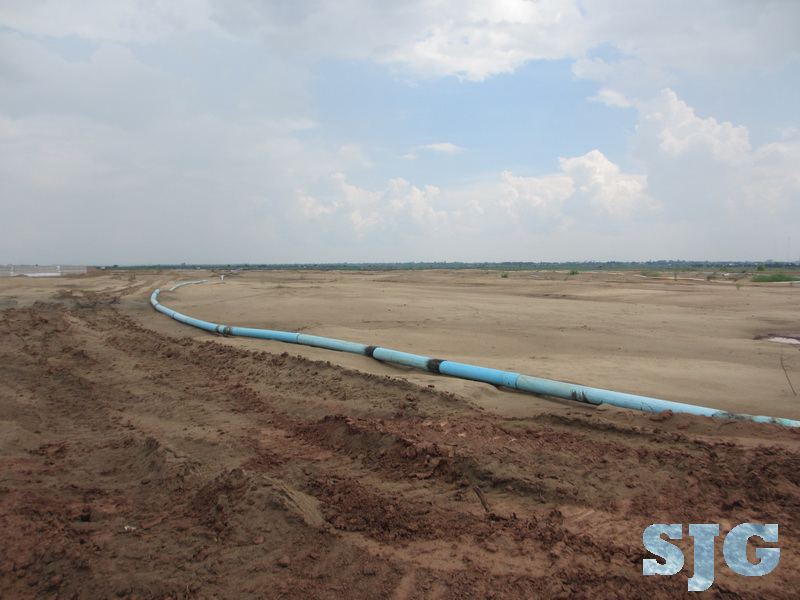 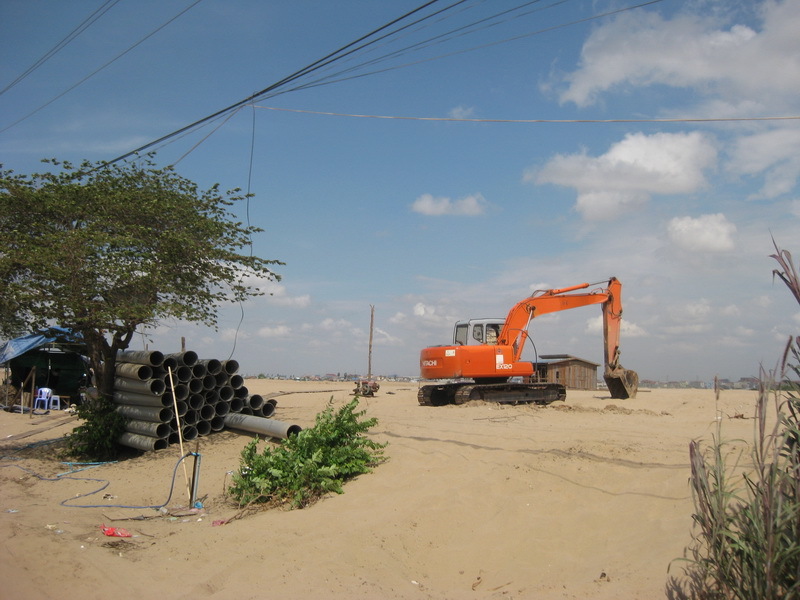 With progress comes the filling in of large parts of Boeng Tumpoan lake. 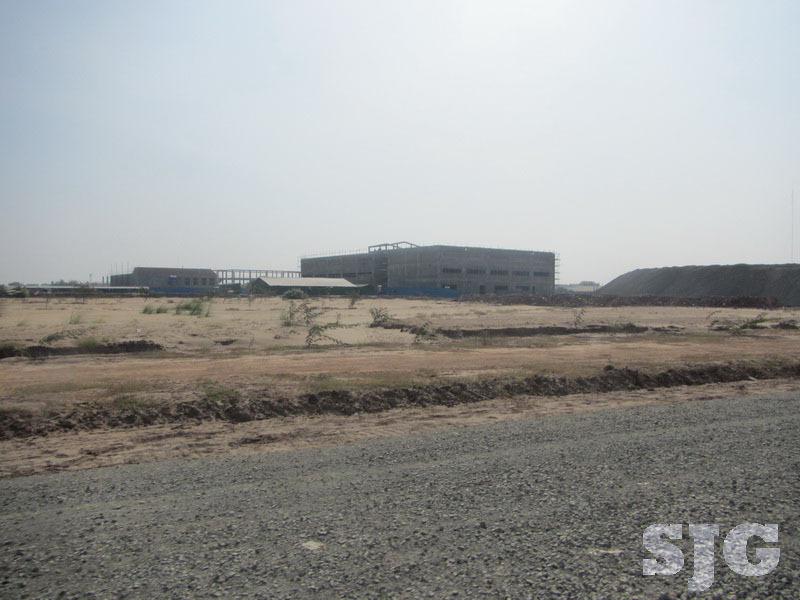 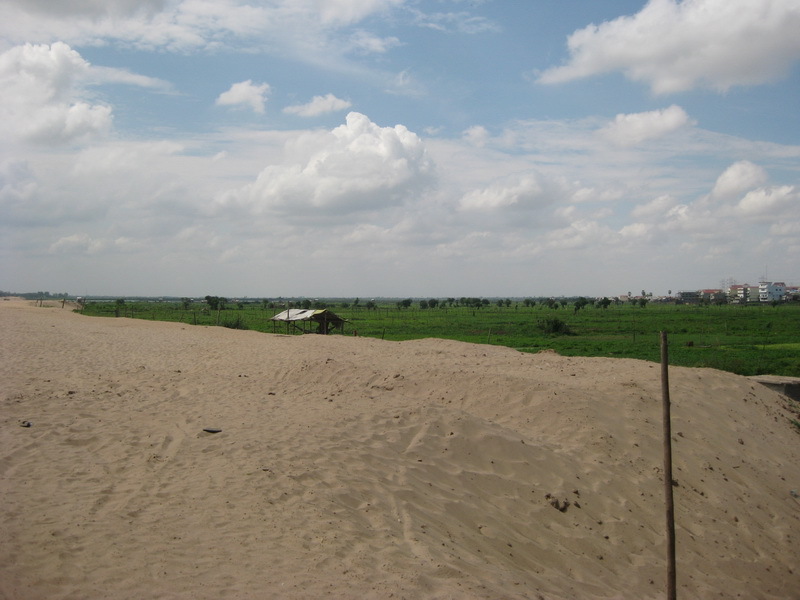 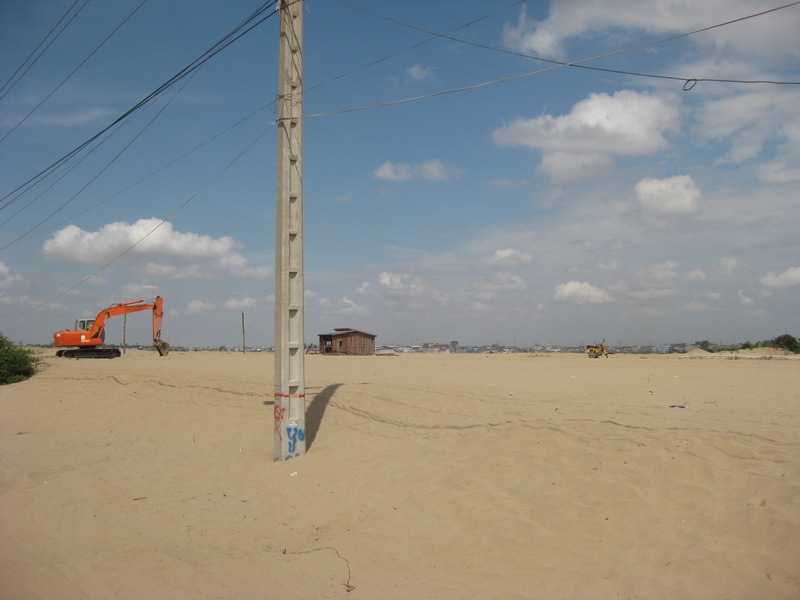 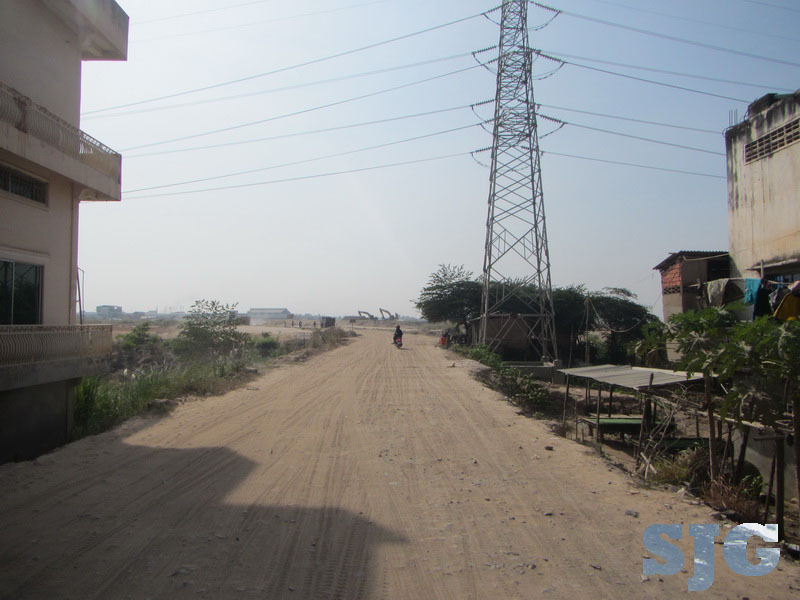 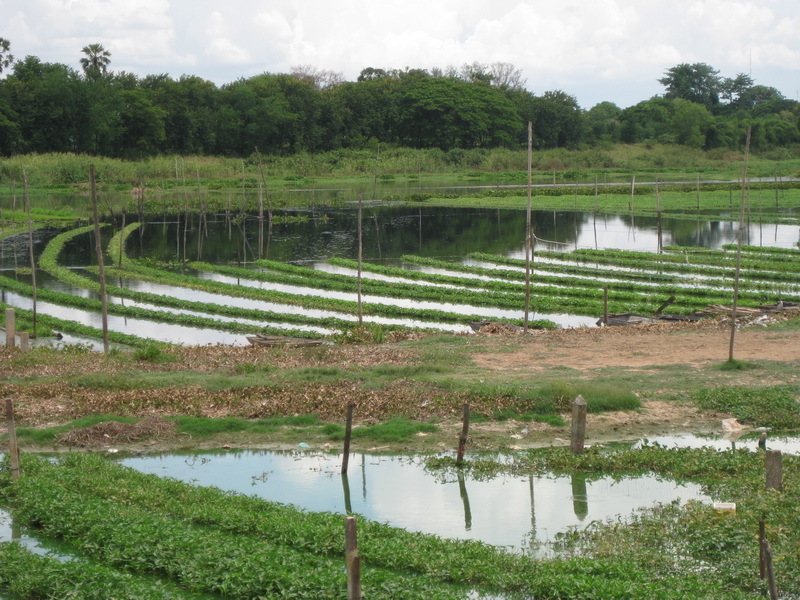 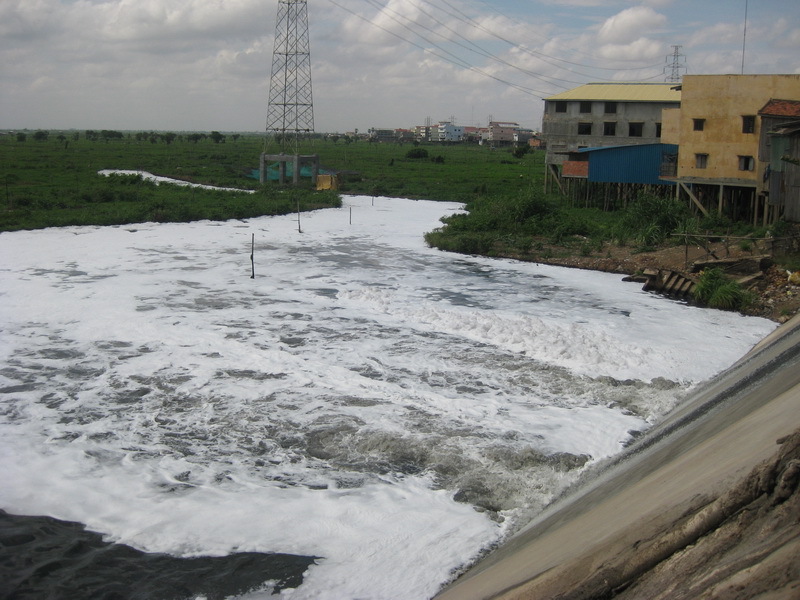 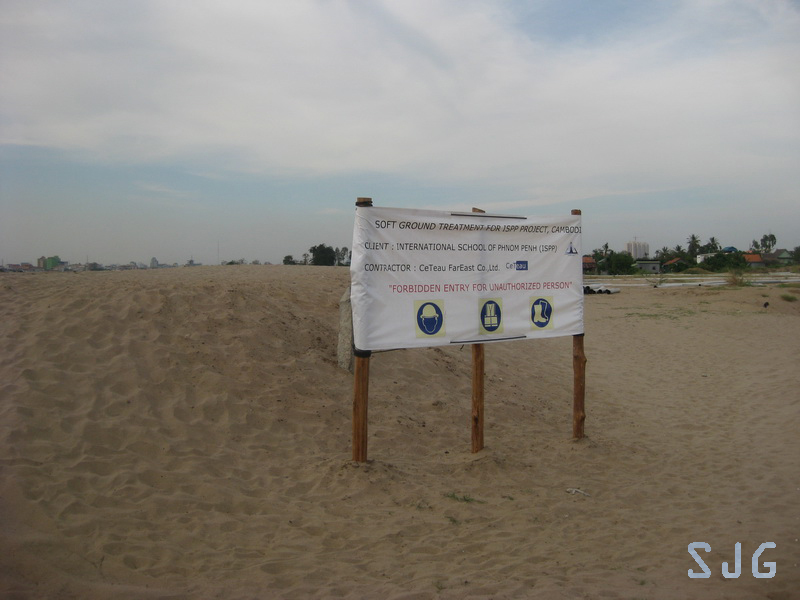 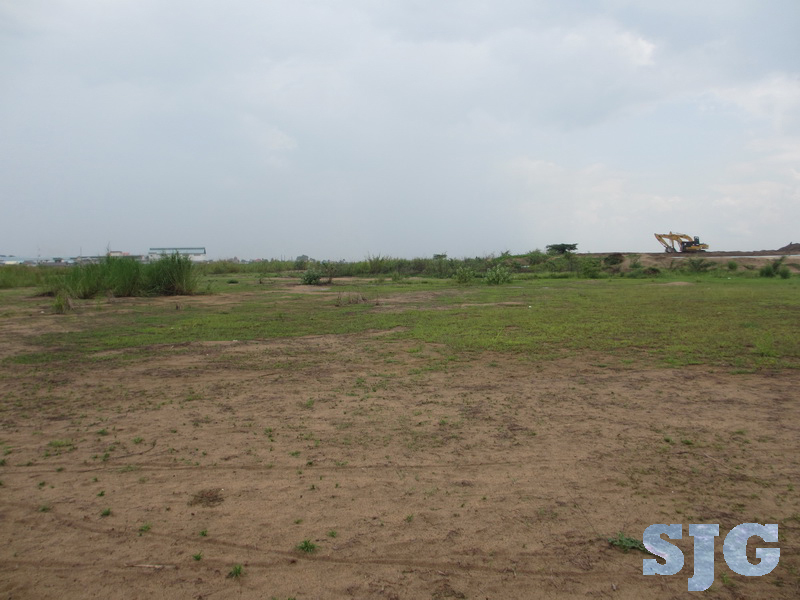 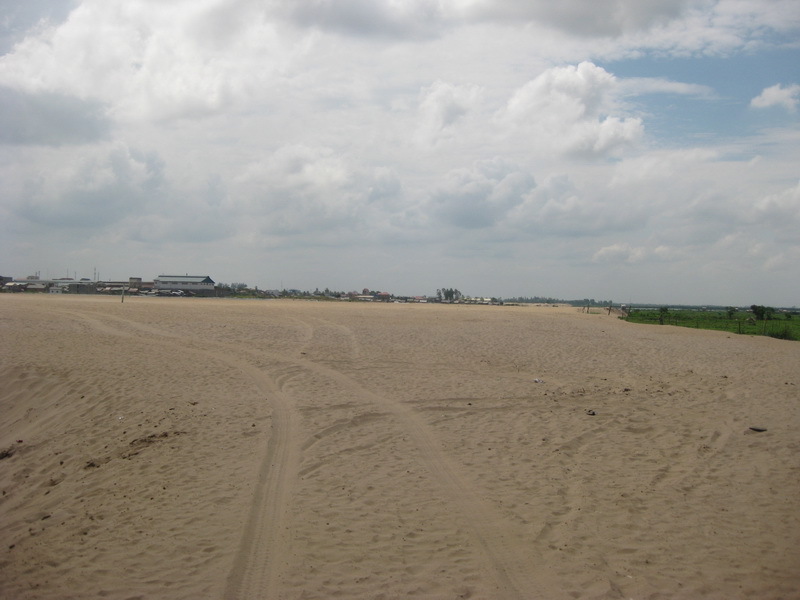 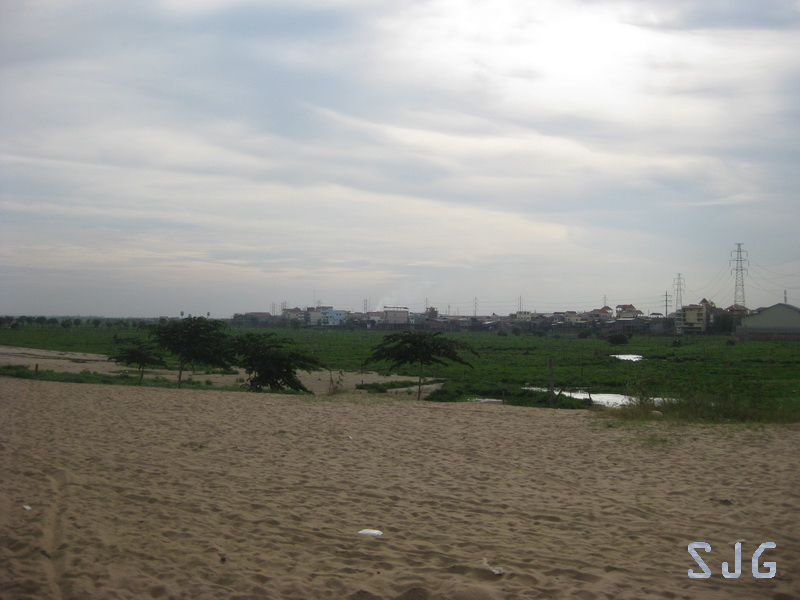 This is nothing new – lakes in the PP region have all undergone the same sort of development. 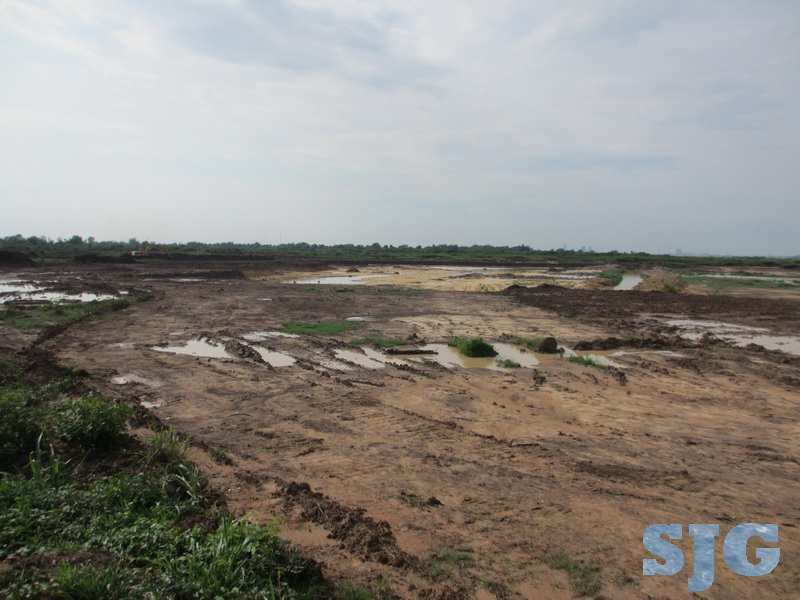 This one is several times bigger than Boeng Kak however, and much less in the media. 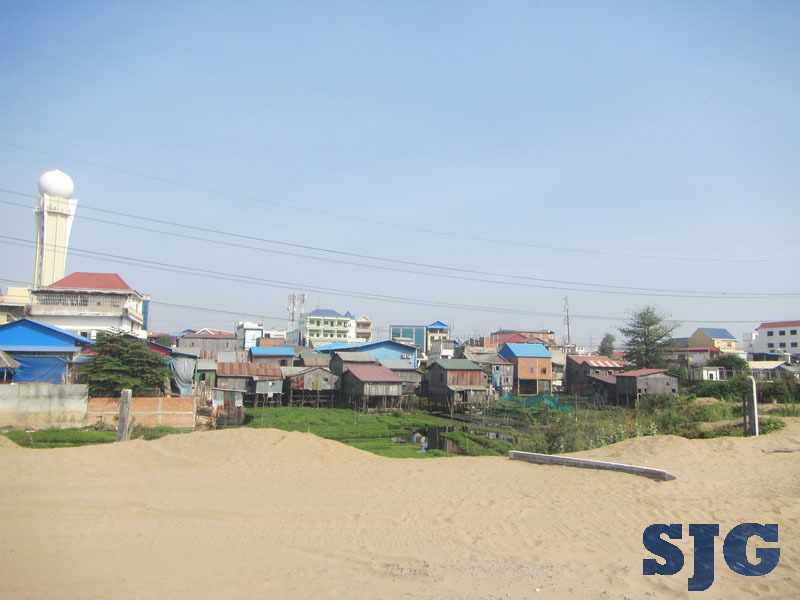 Why is no one talking about Boeng Tumpoan getting filled in. 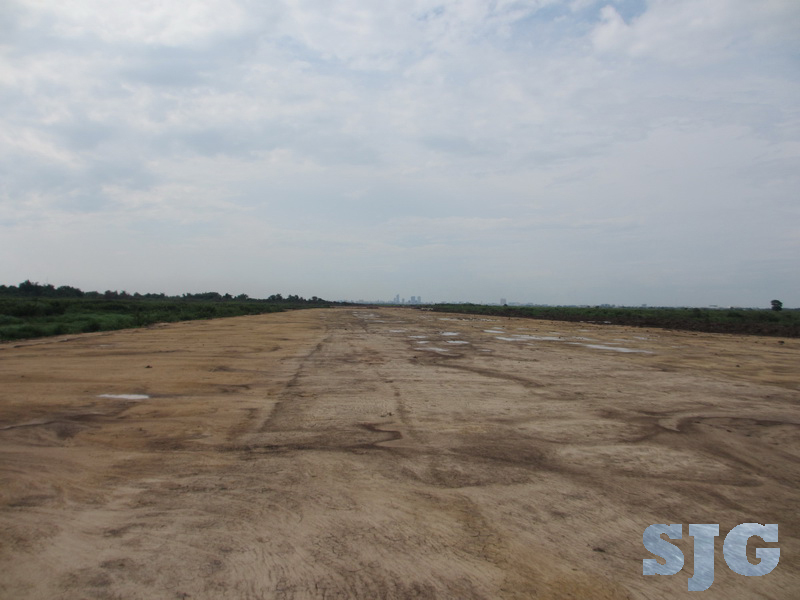 I just flew into PP and gasped – there is a massive portion of the lake filled in to make way for the Hen Sen Blvd. 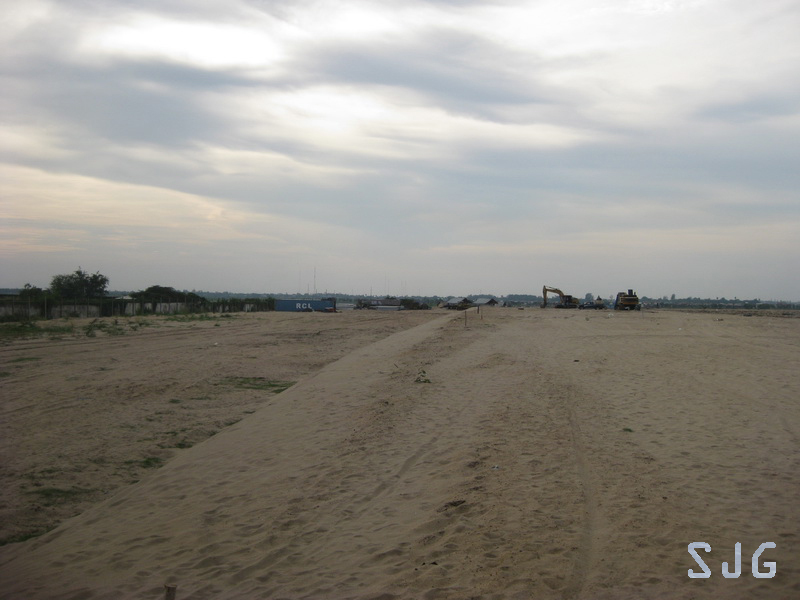 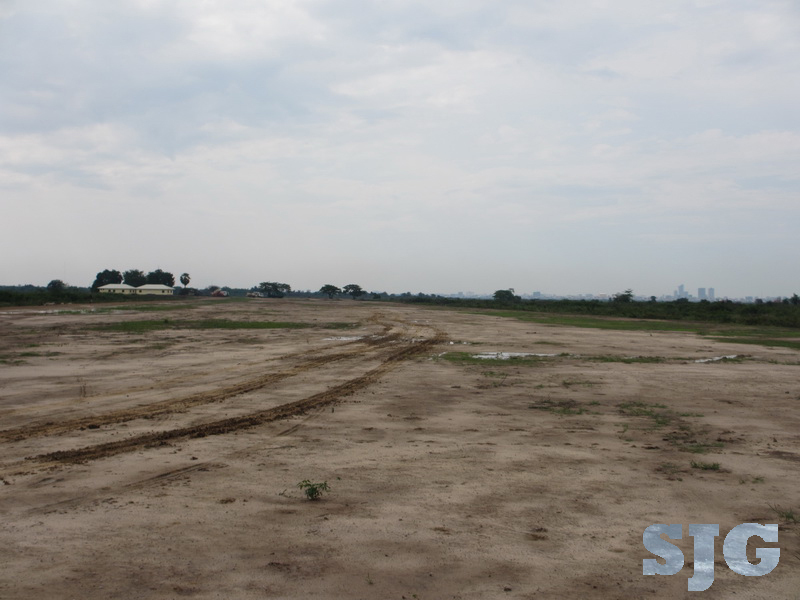 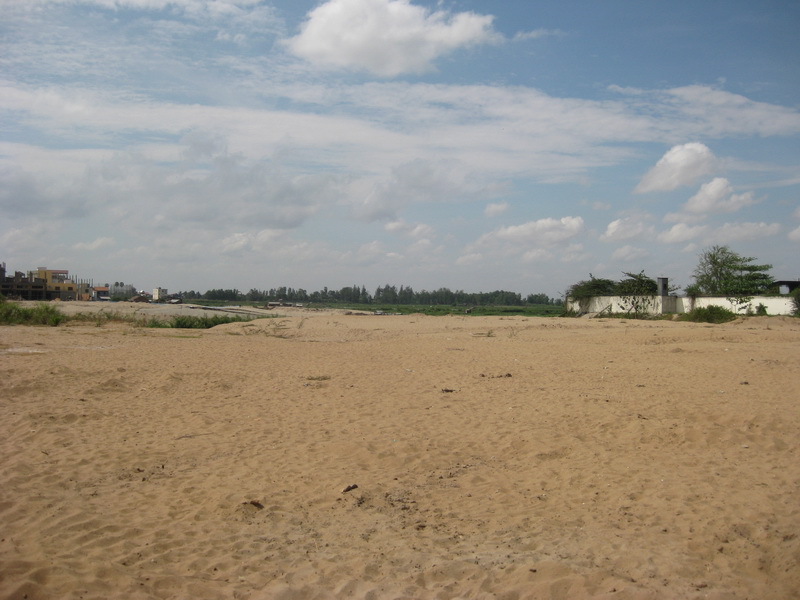 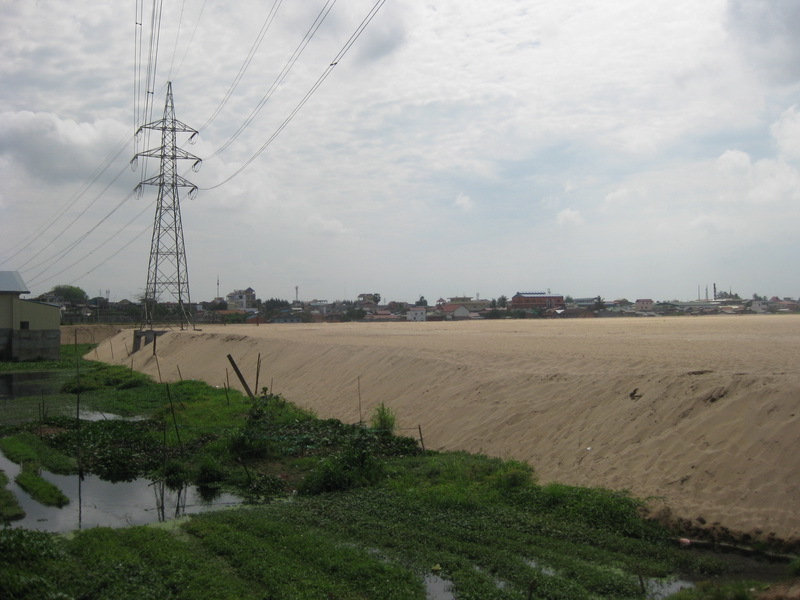 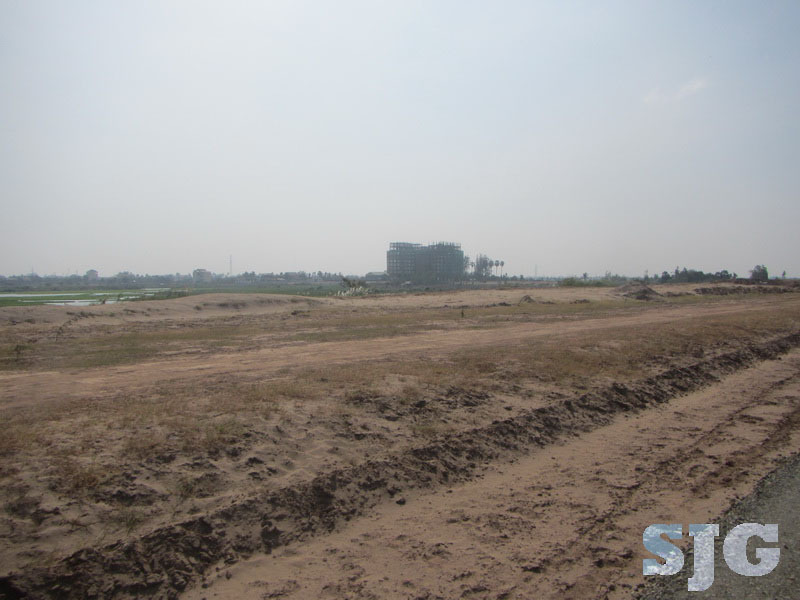 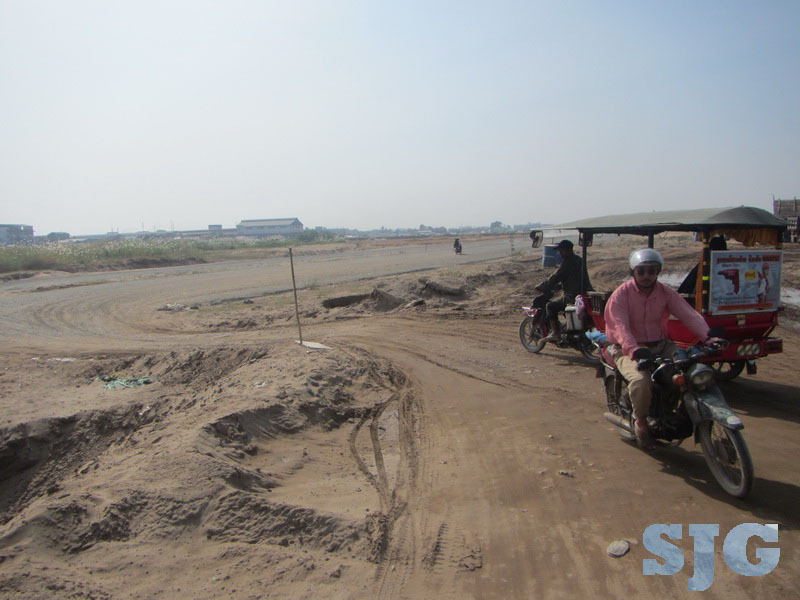 There are 2 locations now where sand is being pushed into Boeng Tumpoan to make way for the new roads across the lake. 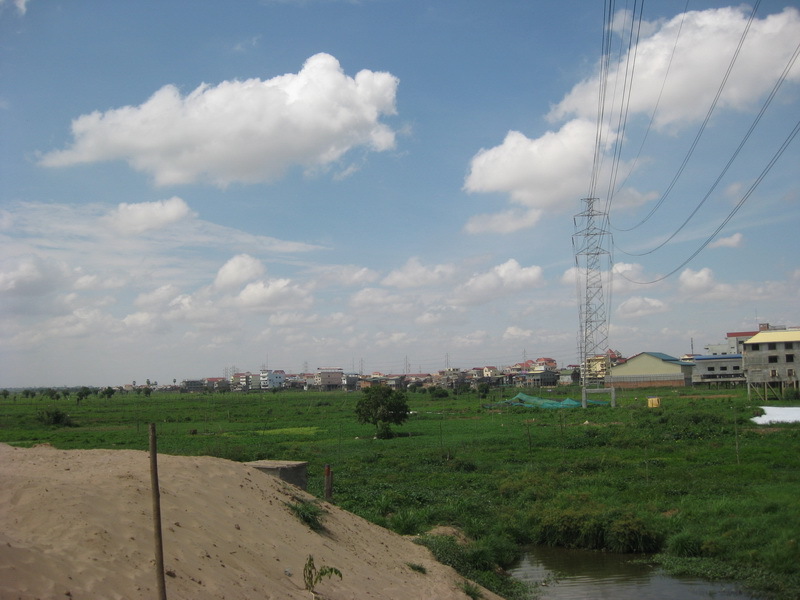 The first is near the north entrance to Hen Sen Blvd. 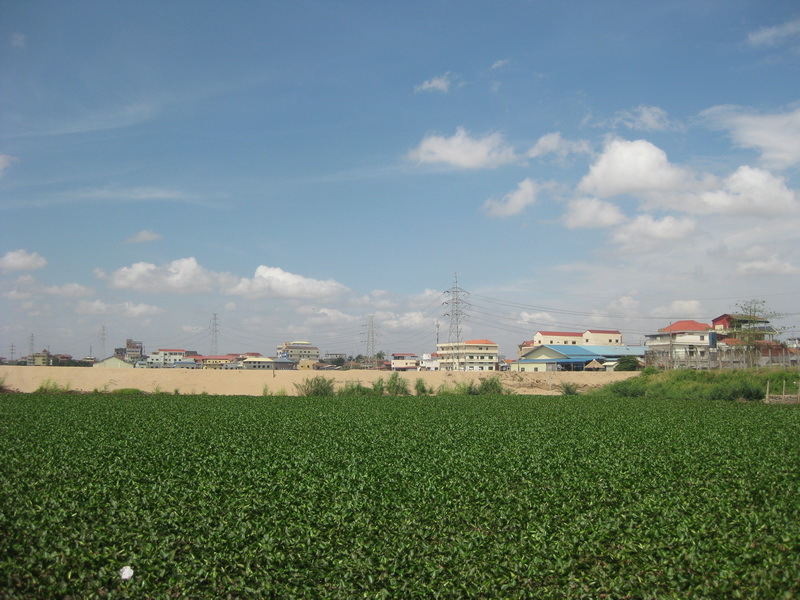 This can be seen on the south side of St. 271 not too far west of the Monivong Bridge. 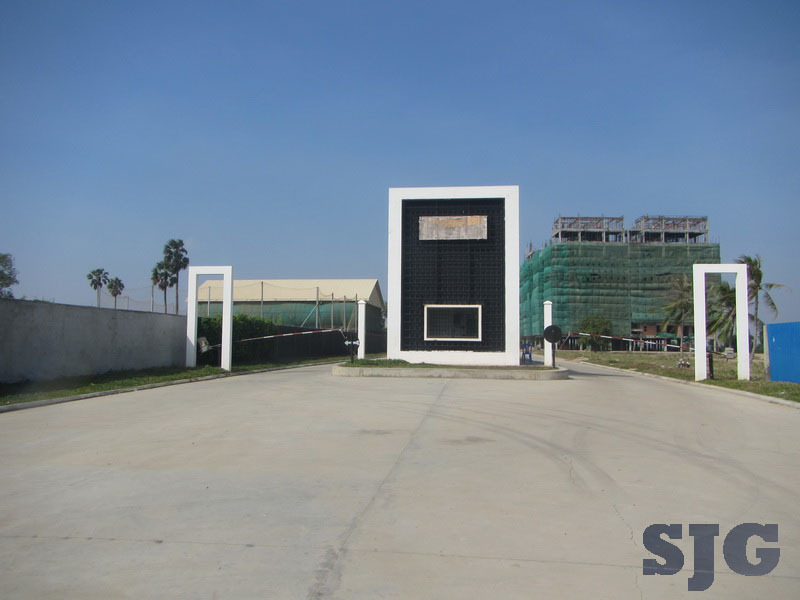 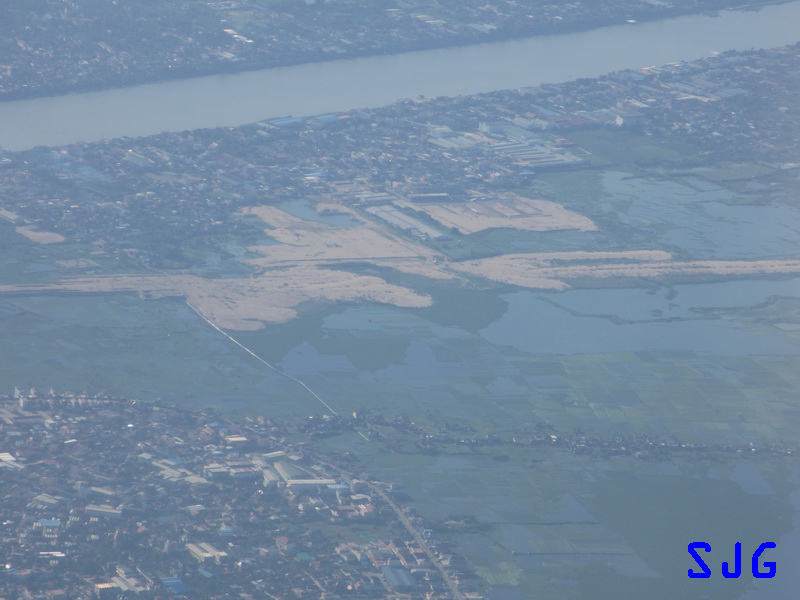 The second can be seen near the Thailand-Cambodia garment factory about 2km south of the Monivong Bridge. 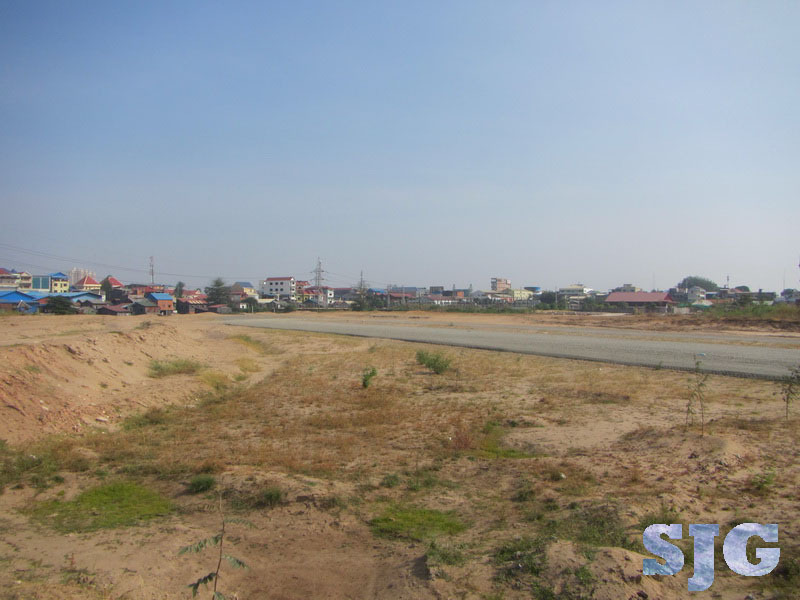 Here are some pictures of Lake (Boeng) Tumpoan which will surely change as a result of the network of roads that are planned to crisscross the area. 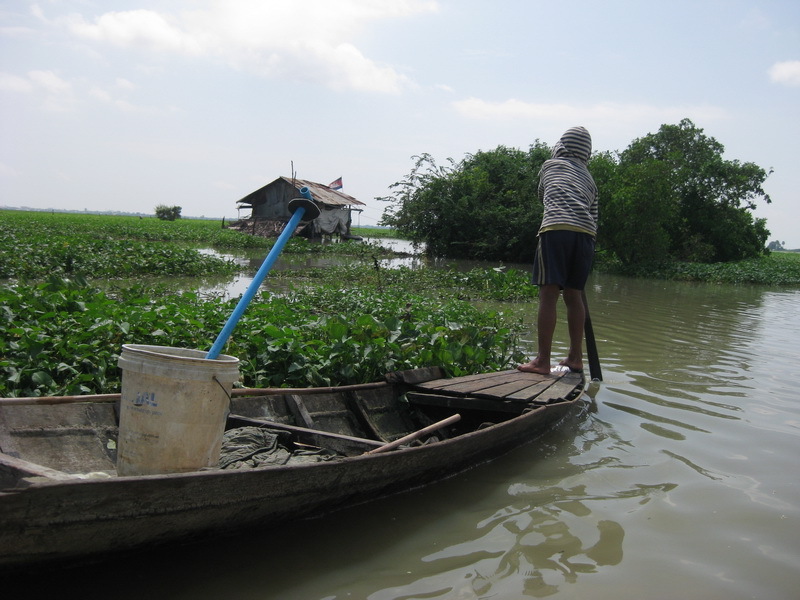 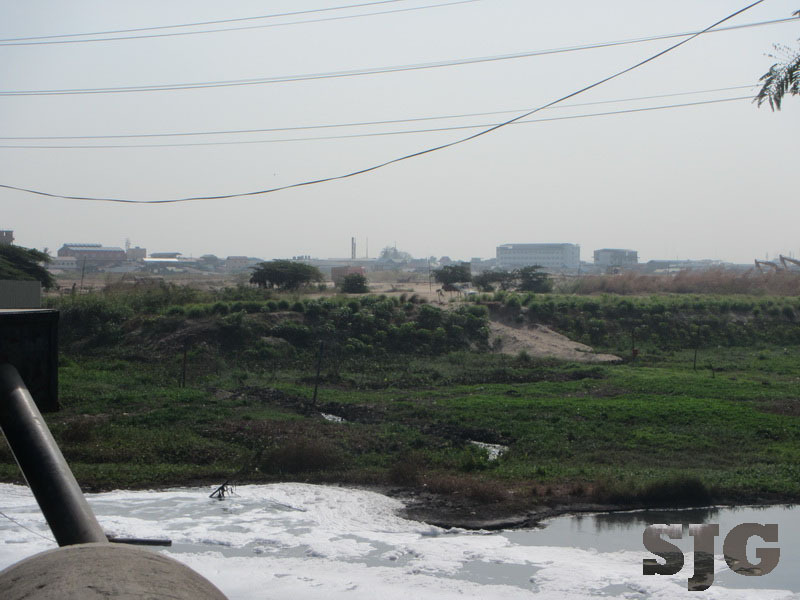 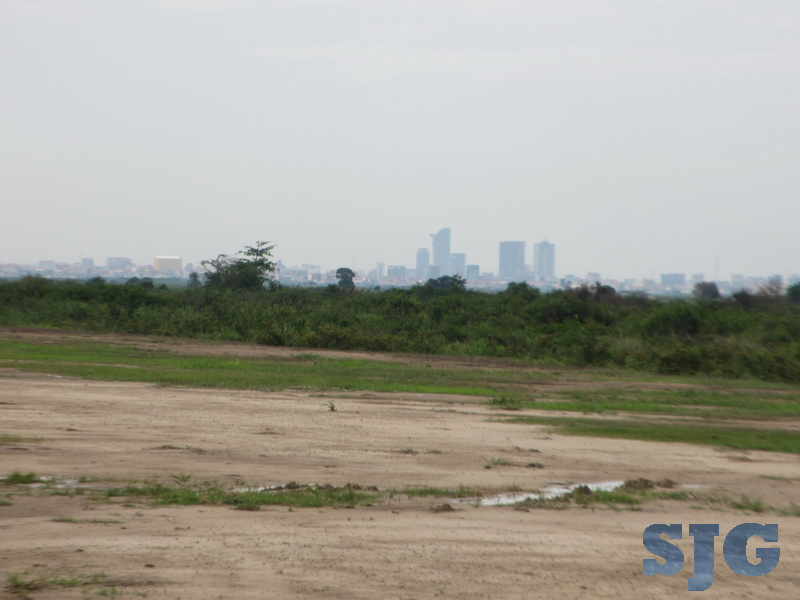 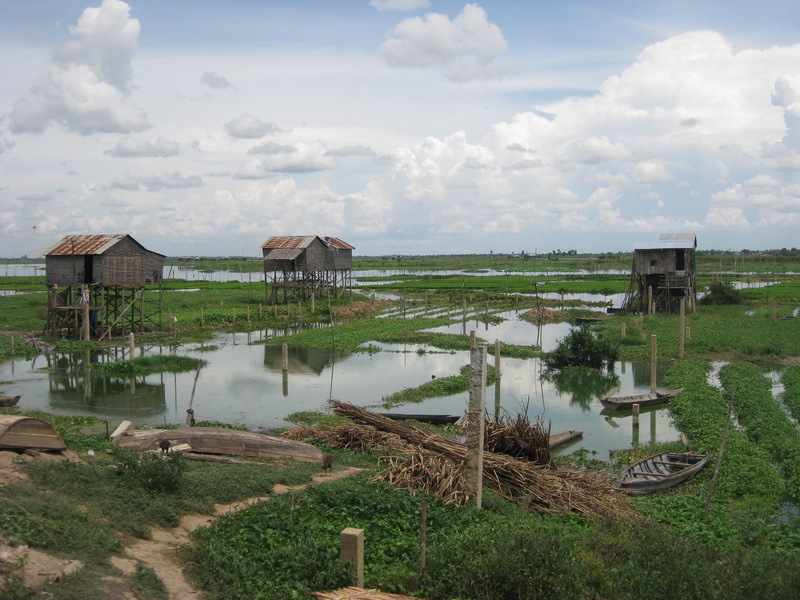 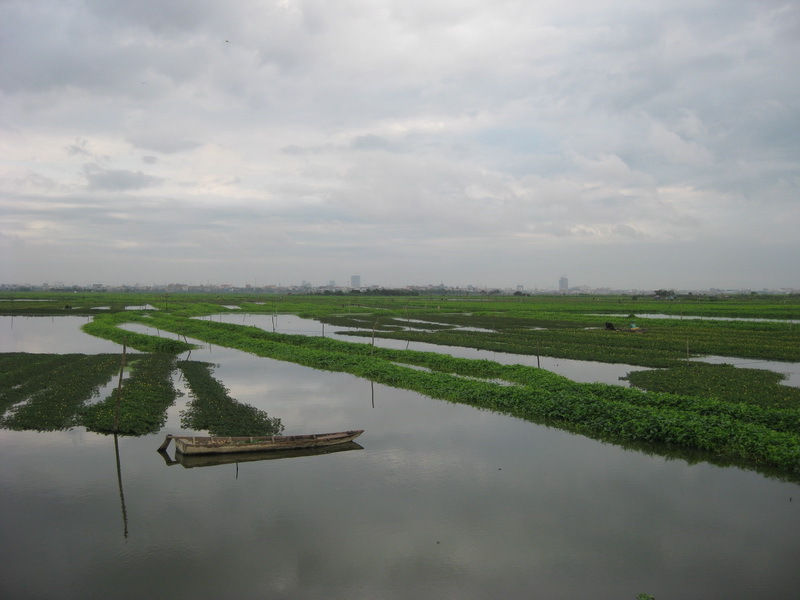 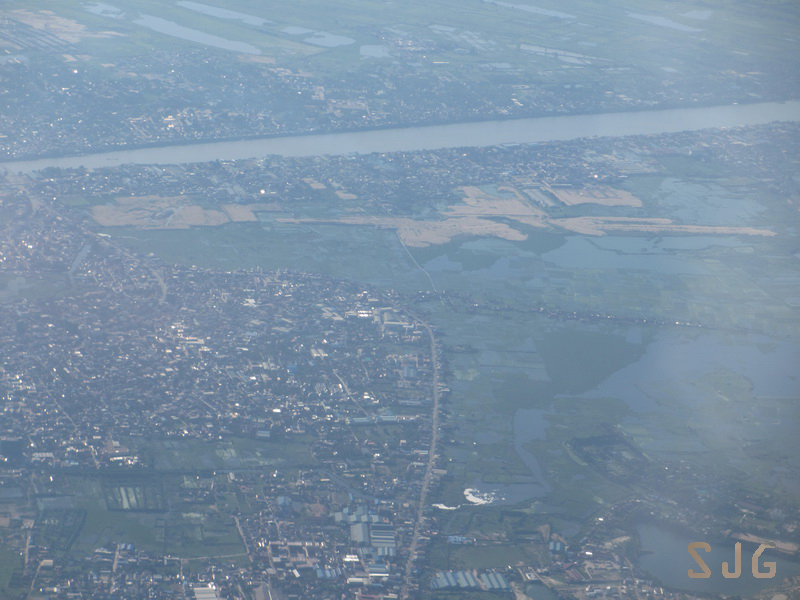 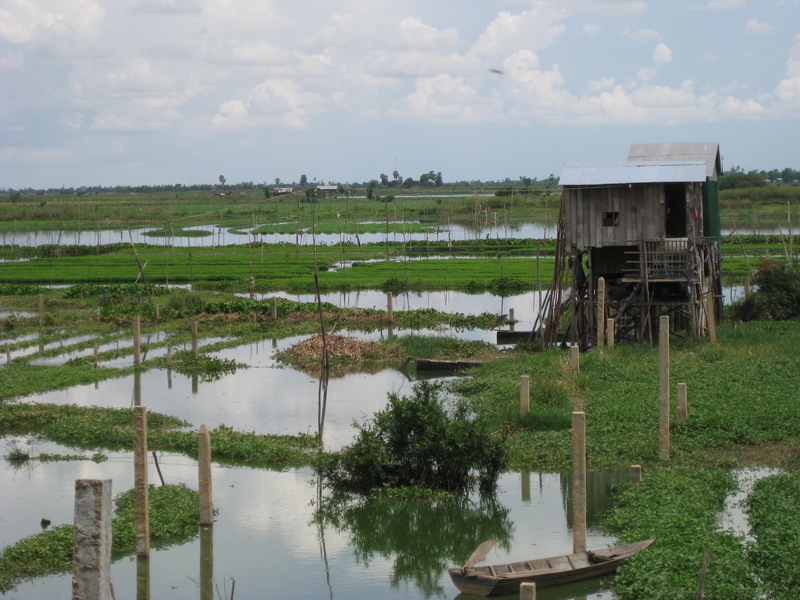 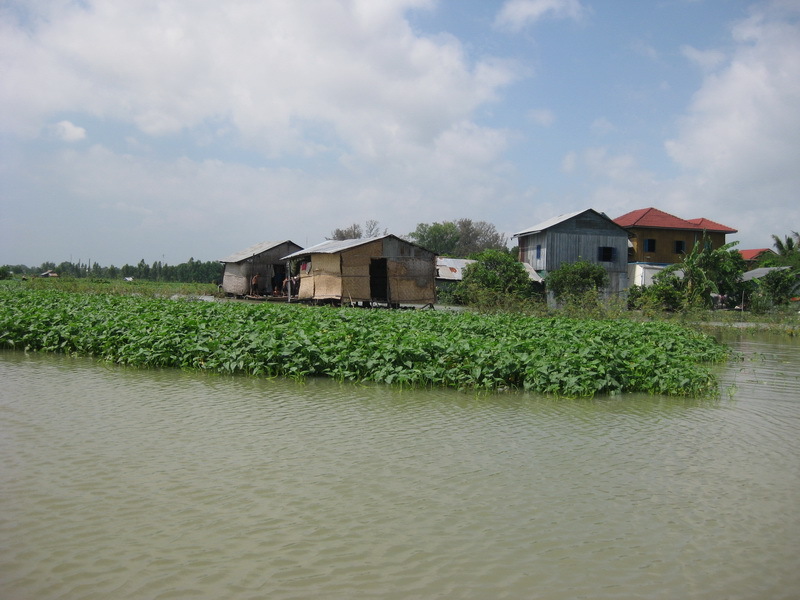 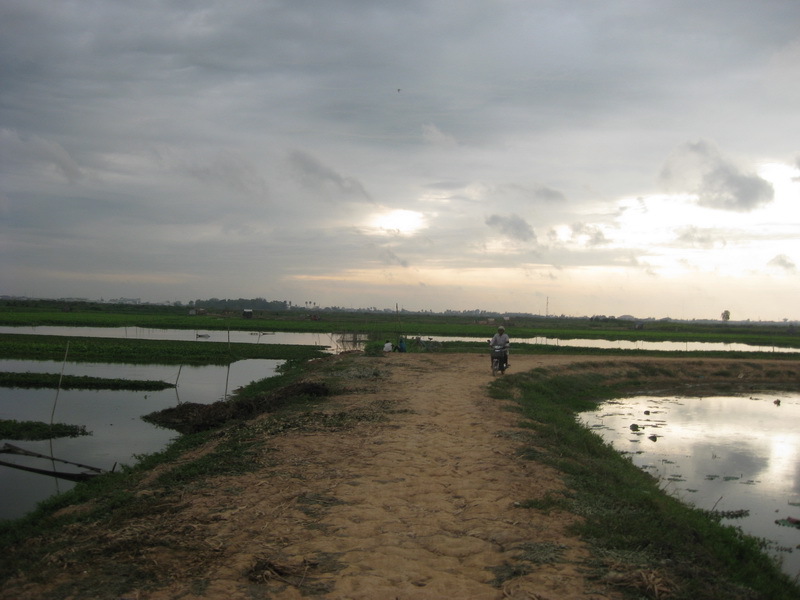 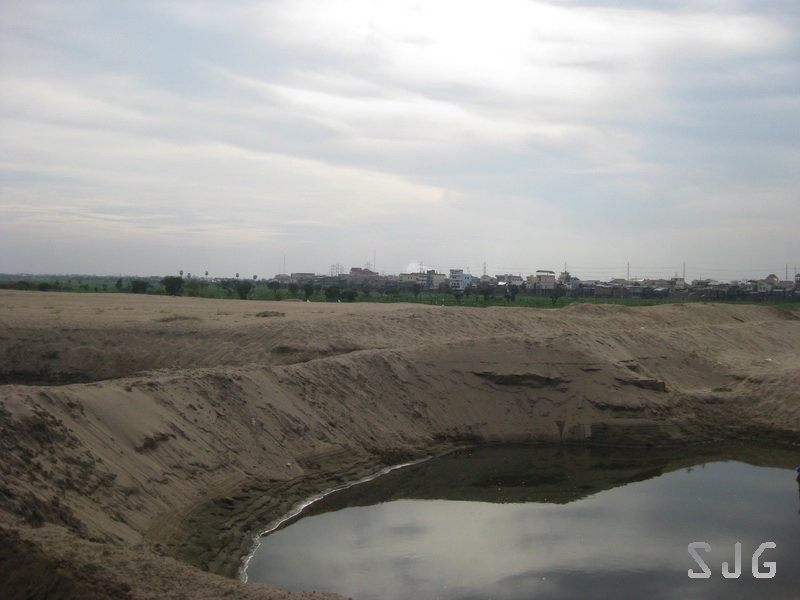 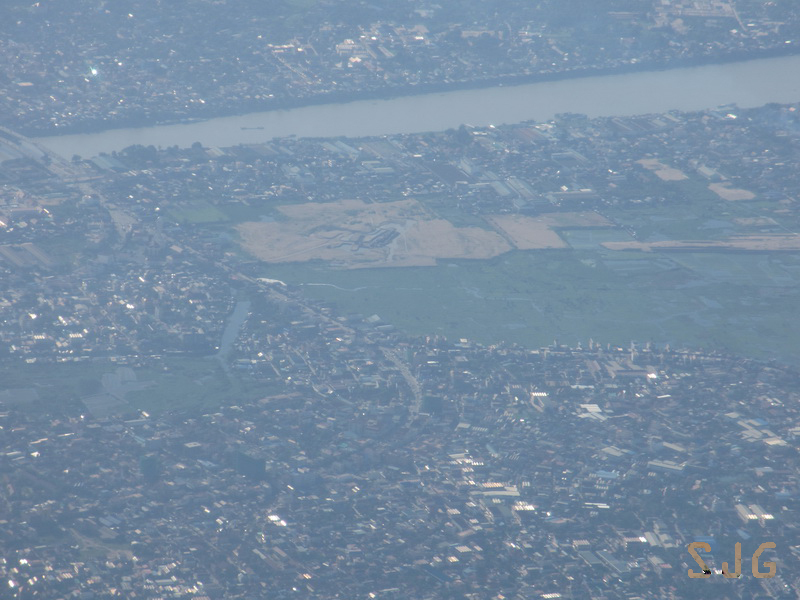 Lakes, swamps and lagoons around Phnom Penh are all being affected by city growth. 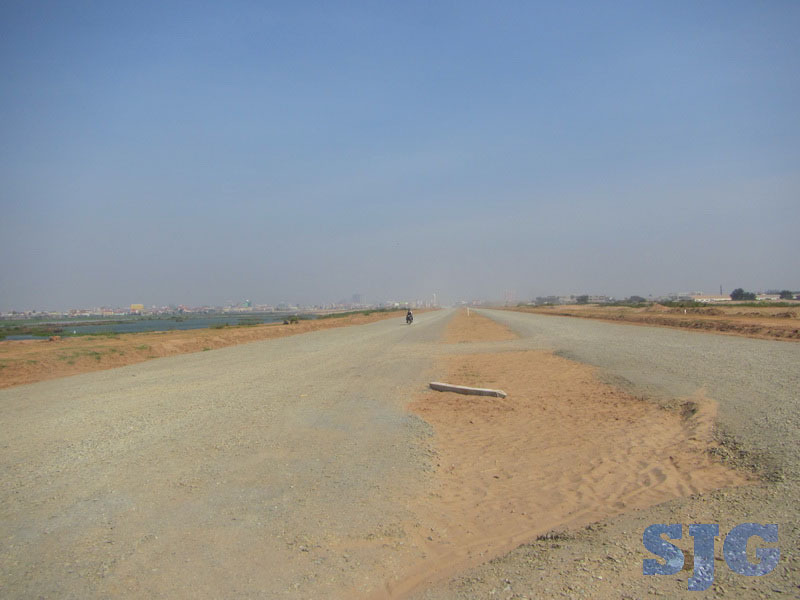 None is as big as Boeng Tumpoan (south of Phnom Penh) and now a network of roads will criss-cross the lake, the most notable being the new Hun Sen Blvd. 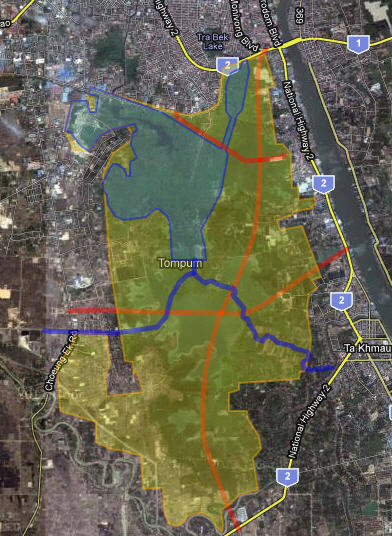 Which will go from Kbal Thnal (Monivong bridge area) south across the lake to connect with highway 2 south-west of Ta Khmao. 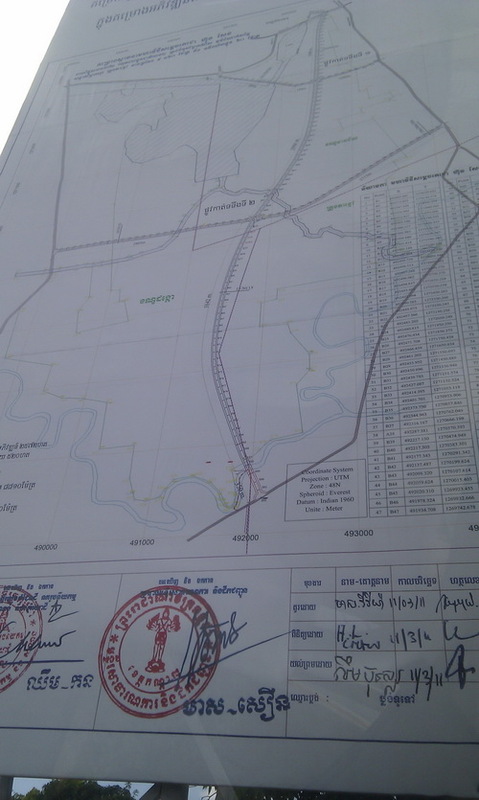 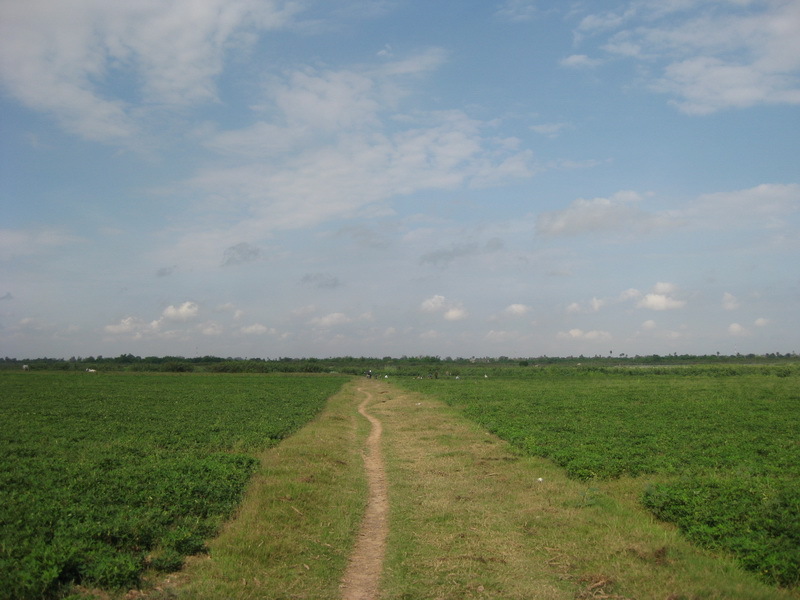 There will also be a new road from just north of Choeng Ek Killing Fields to just north of Ta Khmao. 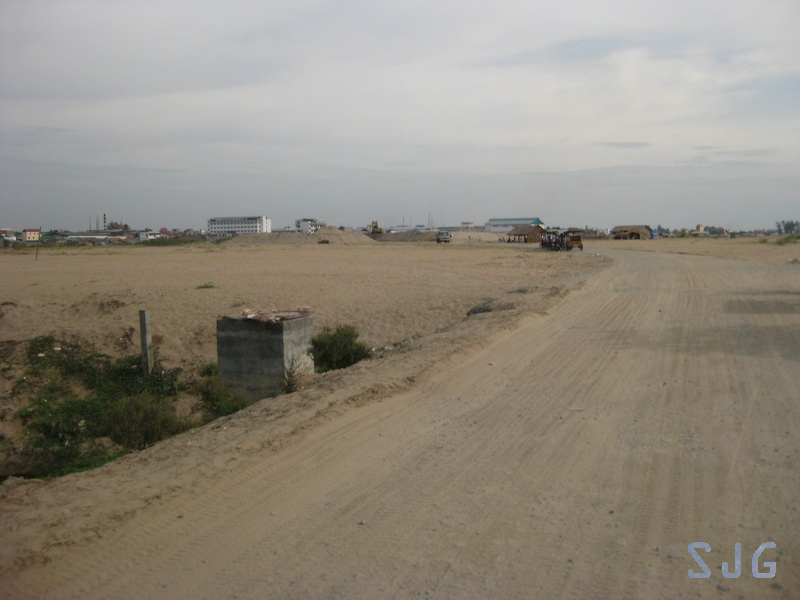 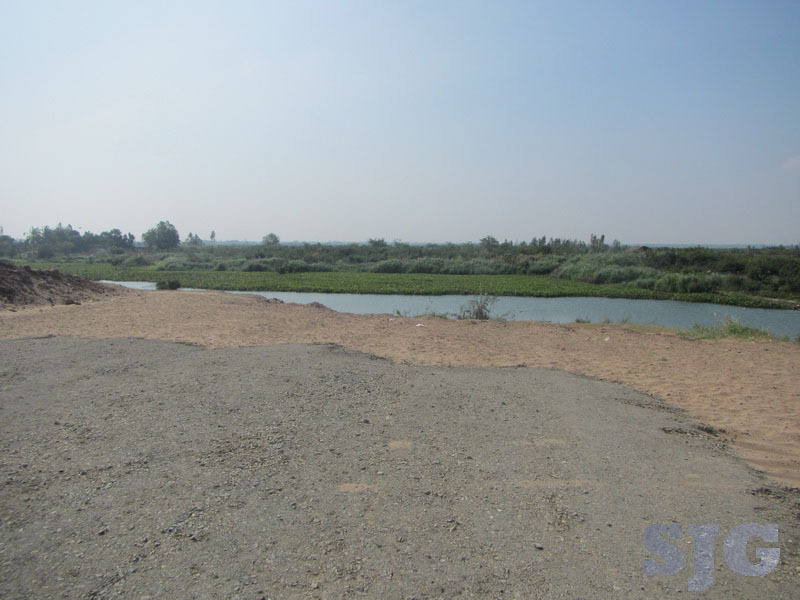 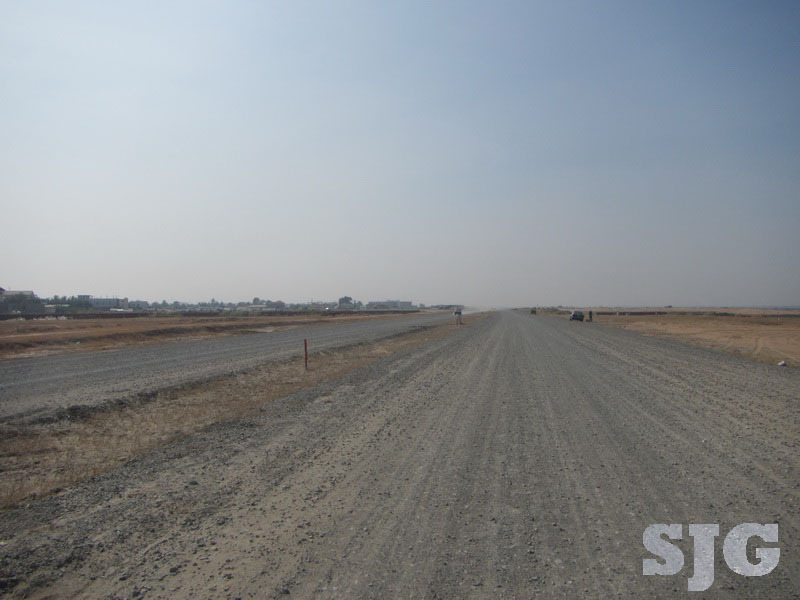 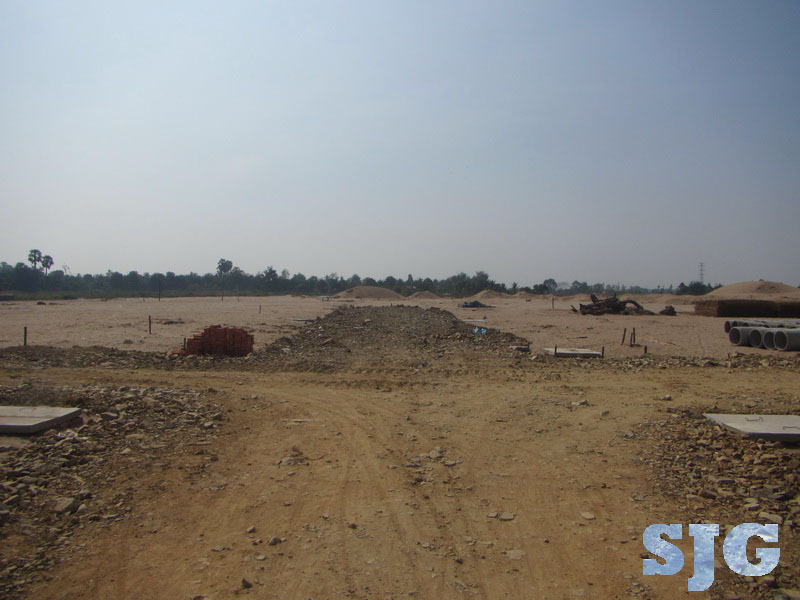 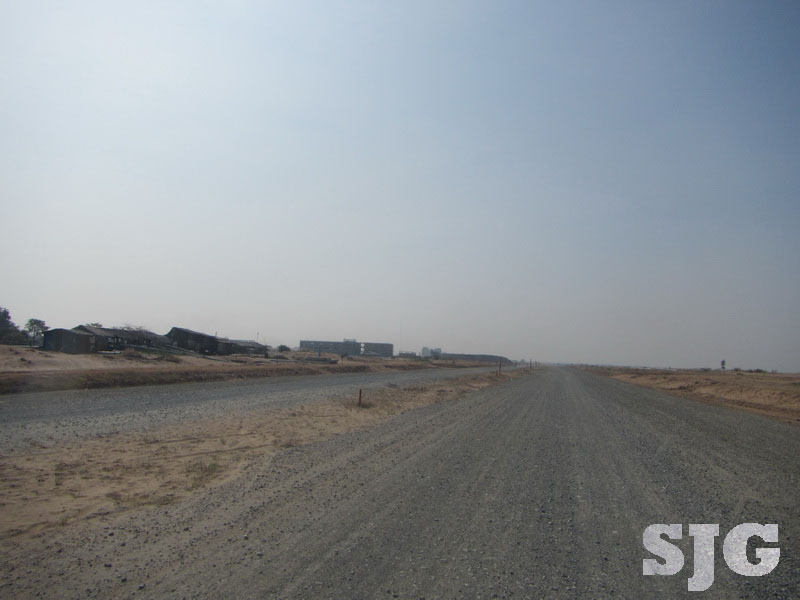 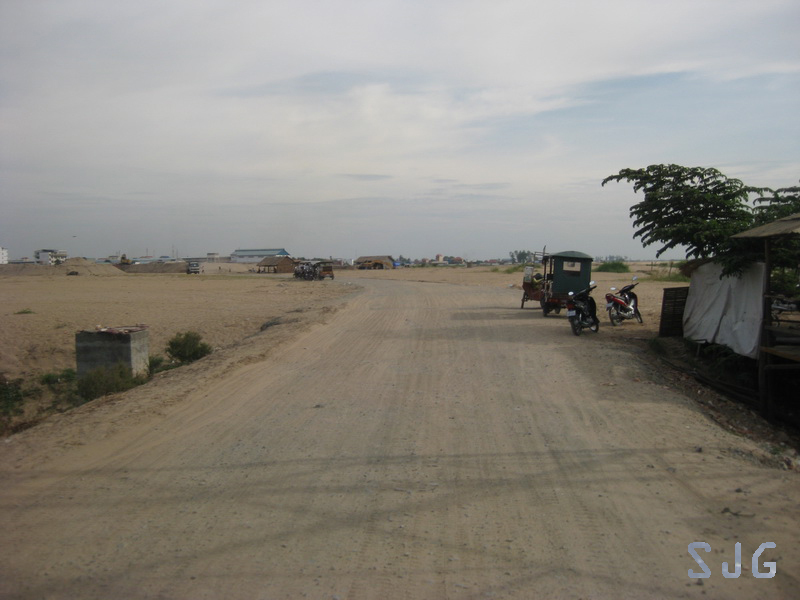 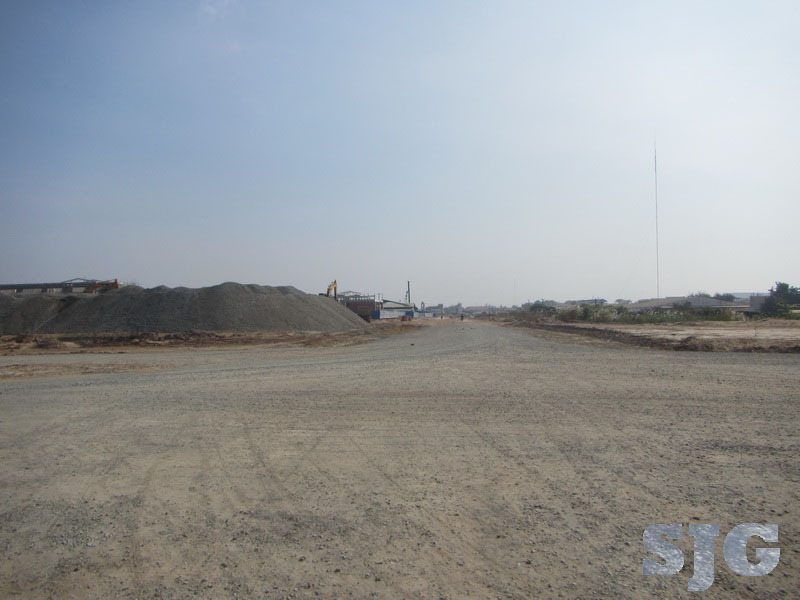 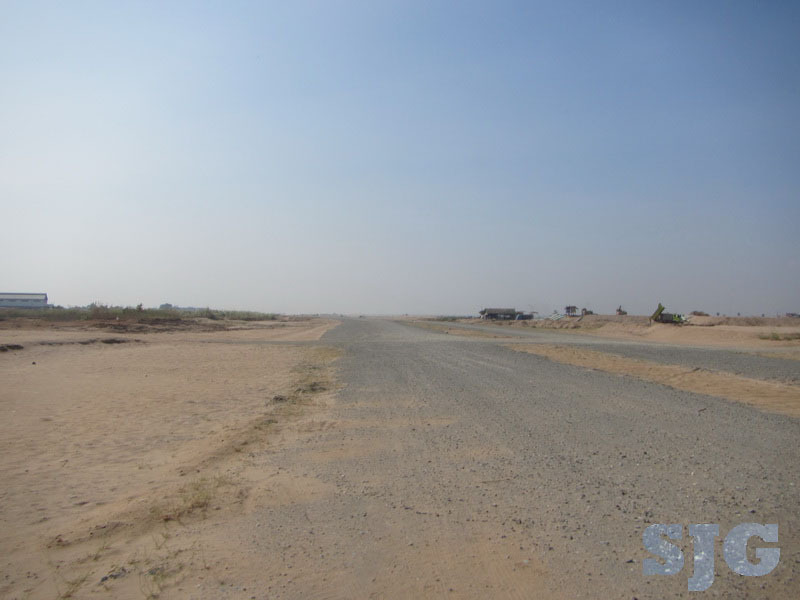 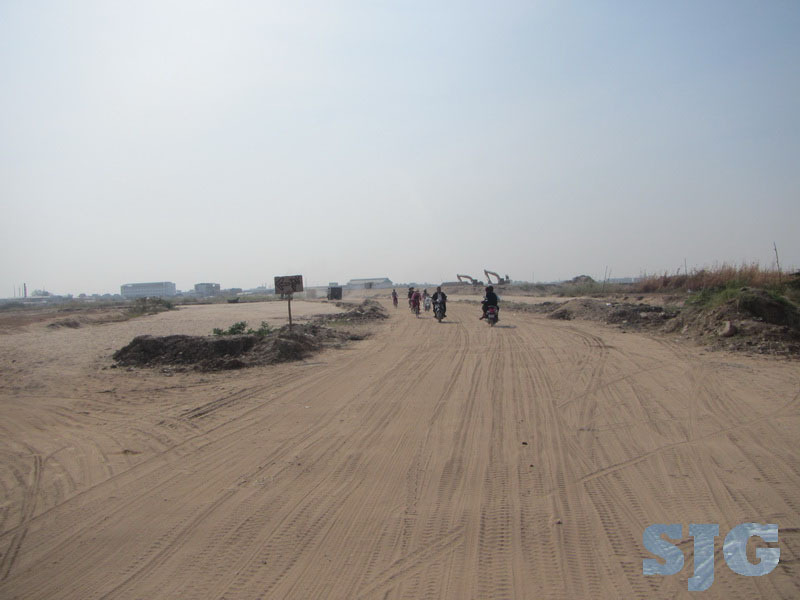 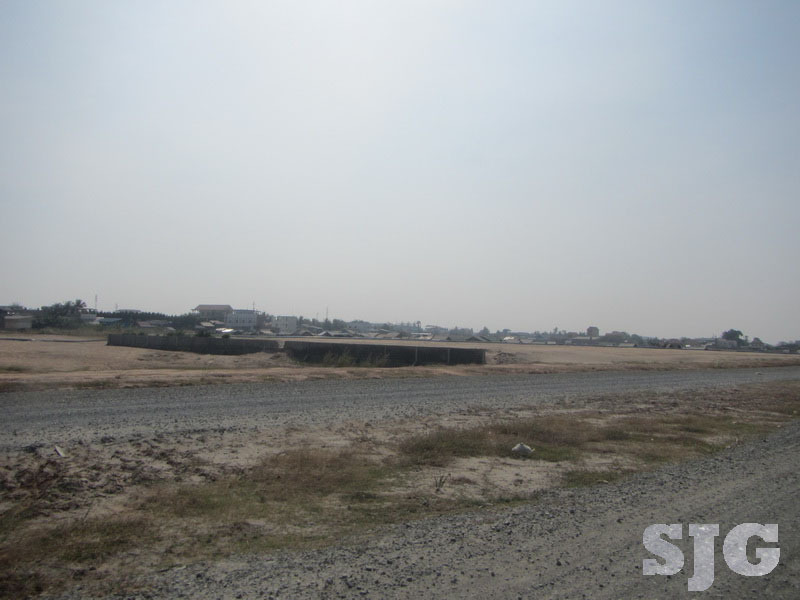 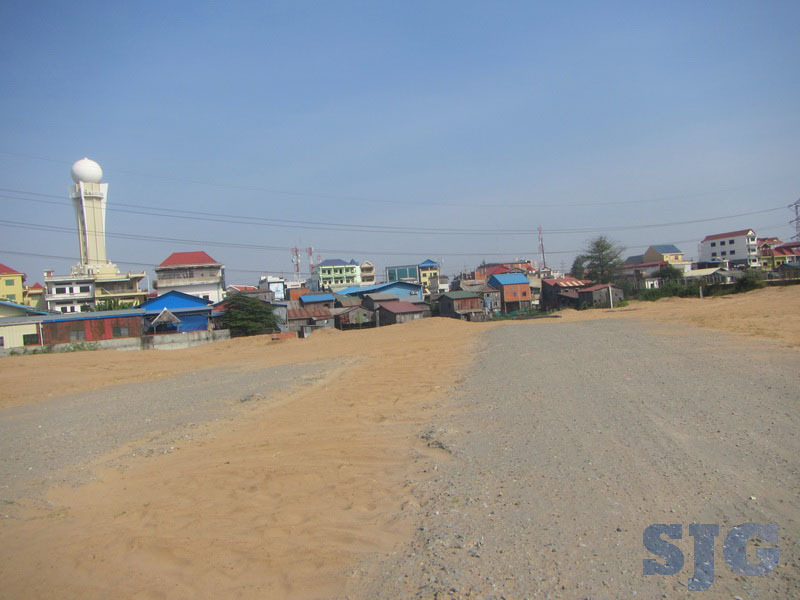 Lastly a small road will connect from St. 371 near Dombok Khpuos Pagoda and will head east to connect to Hwy 2 a couple kilometers south of Kbal Thnal.